Let me preface this post by saying, I love Sabon! With that said, I didn't like March's body wash, the Rose Tea Shower Oil. I know I've mentioned this before, but I'm not fan of rose-scented things. I know, I can hear you saying, "then why buy a rose fragranced shower oil, silly?!" Although I don't like rose, I am a big fan of tea scents, and hoped the tea would tame the former. A limited edition release in Japan, the Rose Tea Shower Oil smelled nice in store; a good balance of tea, with a rose that wasn't noxious. However, after a week of use, the rose notes seemed to come to the foreground...and, not a "pleasant aroma to my sense of smell" way. I found myself using more pumps than needed, just so I can be the shower oil sooner. 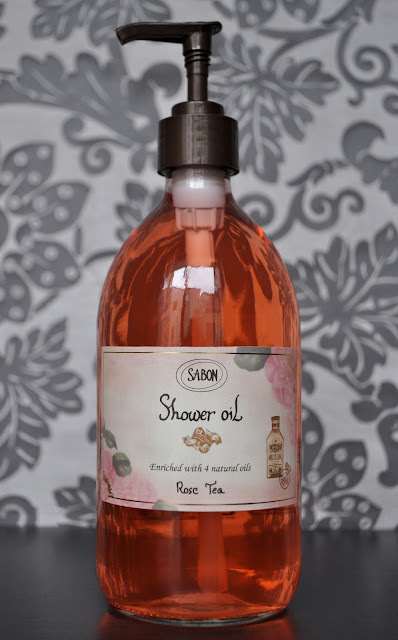 Have you tried Sabon's Rose Tea Shower Oil?